The Author's Files: I want to see you be Brave – "want" being the key word. I want to see you be Brave – "want" being the key word. I thought Pixar had made some pretty abysmal movies in the past; pictures like Toy Story, Finding Nemo, Ratatouille, and Wall-e seemed inexcusably bad, deplorable to the point of being painful. Then I saw Brave, which if nothing else has taught to me to appreciate the good attributes in Pixar’s other abominations. Most critics who’ve jumped on the elitist Pixar bandwagon* have criticized Brave for failing to match the studio’s former standard of quality, but they miss the point: Brave is the quintessential Pixar production, distinguished by forgettable music, corny writing, poor animation, and clichés. It doesn’t miss Pixar’s usual standard, for it is the standard that all its predecessors save a few have matched. Brave’s trailer wonderfully condenses the movie’s richly thought-provoking themes of mutual existence and understanding, feminism, and “changing your fate” into a 2-minute timeframe. Adding a couple bears, magic spells, some potty humor, and a lot of bad slapstick to this formula yields a 3-minute plot stretched over 90-some minutes. Brave centers on an aloof, redhead princess and her quest for independence, namely from her domineering mother who’s desperate to get her hitched. Merida loathes the life of a noblewoman and yearns for freedom from her position’s chains – sorry, I meant to say shackled. She cherishes the moments when she can ride her horse, scale mountains, and shoot arrows in the woods, but her parents have regulated these opportunities after an attack by a vicious bear in Merida’s youth. Eventually, the queen decides to hold a championship for her daughter’s hand. Suitors gravitate to the kingdom from all over the land, but Merida will entertain none of them as options, so she runs away. She stumbles upon a forest cottage that belongs to a witch, who gives the girl an enchanted pastry that will “change her mother”. Giddy with excitement, Merida returns home to “change her fate”, but the spell doesn’t work as she originally intended. It changes her mother… into a cheesy-looking black bear. Would that Merida had heeded the old adage: all magic comes with a price, dearie! Thanks to her impetuous meddling, she and her would-be-funny younger brothers must spirit their mom out of the house, as the king is unlikely to be receptive of Merida’s story. “Spirit”, however, may not be the proper word, because the grand escape takes around 10 minutes and a lot of forced physical humor. Somehow the whole experience of being turned into a bear and almost killed by humans actually endears the queen to her daughter, and together they end up ridding Scotland of Mordu, the realm’s resident monster dragon – bear, that is. Mother and daughter learn to respect each other for their differences, and somehow the queen turns back into an ogre with the sunrise. Woman, sorry. Brave’s biggest flaw, besides ripping off ideas from better movies, is that it makes no logical sense. Merida disrespects her elders, runs away from home, mingles with a total stranger and witch no less, poisons her mother, almost gets her killed, and never apologizes properly for any of it – rather, she pulls a Democrat and boasts of her numerous misdeeds, claiming she was misunderstood/taken out of context and that her actions were justified because she hoped to change her fate (sorry, I couldn’t resist). If you look at the full context of her situation, it’s pretty clear why she transfigured her mom into a bear. Anyway, all of Merida’s misdeeds, far from further infuriating her already incensed mother, have the opposite effect of what one would anticipate, drawing the two together rather than dividing them for the rest of time. The crux of Brave’s story has no logical cohesion. Even more gravely, the writers never make a serious attempt to highlight the imprudence of Merida’s disobedience. Instead of trying to craft a moral about honoring one’s father and mother, Pixar opted to deliver unnecessary and unfunny slapstick and to characterize the movie’s adults as either blundering idiots or narrow-minded, tyrannical control freaks. With movies like Brave acting in conjunction with corrupt government schools, there’s no mystery as to why this century’s children are a bunch of arrogant, entitled brats who knock themselves up and reject any wisdom their parents have to offer. 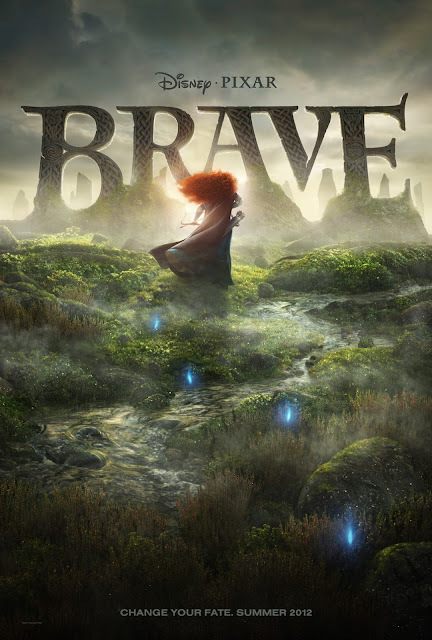 Most critics have lauded Brave for its beautiful computer animation, but even that aspect is overrated. Shrek, Kung Fu Panda, How to Train Your Dragon, Up, Rango, and – I hate to say it – even Wall-e are all older than Brave, yet feature superior art design, textures, lighting, and character animation. The animators of those films brought their subjects to life through a diverse array of emotional expressions and created digital actors that in many ways rivaled real people for authenticity. Brave’s CG cast is cartoonish in comparison. E.g., Merida and her mother convey around 4 emotions throughout the film: exasperation, anger, fright, and, in the daughter’s case, mischievous joy, all of which are overstated and incredible. That the flashy, talking motor vehicles of Pixar’s Cars are more believable than the human beings of Brave says a lot about the latter movie’s quality. As for the omnipresent bears, they’re neither intimidating nor cute nor realistic. If you are desperate for a girl power movie with a strong female protagonist that young girls should emulate, then I would recommend watching Disney’s Chinese adventure Mulan, the Rapunzel retelling Tangled (OK, not really a “girl power” movie, but endearing nonetheless), or the more violent dystopia The Hunger Games, although the film adaptation has its own share of moral quandaries. The stop-motion fantasy/horror movie Coraline is another story that concerns a young girl’s rebelliousness and desire for an “other mother”, but unlike Brave it tries to illuminate the negative consequences of disobedience and taking one’s parents for granted. All these movies have plots that make sense and, possibly excepting The Hunger Games, good morals. Brave possesses neither of these elements, but it is a definitive Pixar movie, so those who enjoyed such cinematic masterpieces as the Toy Story trilogy will probably admire Brave as well. Those who care about things like a compelling narrative, intelligent dialogue, and a meaning will have to look elsewhere for entertainment. Never saw Cars 2, but from what I’ve heard it’s a long commercial for Chevy Volts. * The Pixar bandwagon: the accumulation of all those self-inflated snobs who fancy themselves more intelligent because they have the capacity to understand a children’s movie and recognize the deep themes allegedly inherent therein. Pixar fanatics will often describe a cartoon like Toy Story 3 as a “film for adults more than kids” with mature themes and emotional impact, not so much because they believe it as because they’re afraid of being the dissenting voice on a supposedly flawless piece of art.